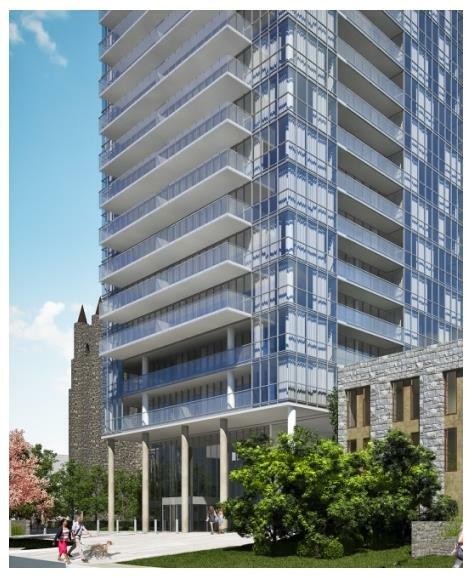 129 St. Clair Condos is a new condo project by Diamondcorp located at St. Clair Avenue West at Avenue Road, Proposed high rise residential condominium with street related townhouse units. 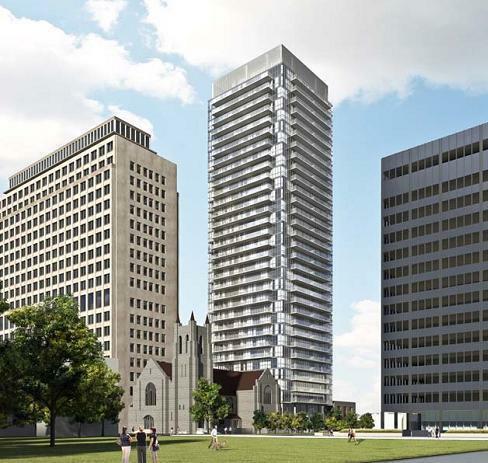 129 St. Clair Condos located in a prestigious community, the former Deer Park United Church will be creatively re-used and incorporated into this elegant building design. A truly iconic address at Yorkville and Avenue Road, Yorkville Plaza! A historic past, a glorious future. New private residences in the legendary Four Seasons Hotel building. Yorkville Plaza Condos combines exquisite living with world-class retail and dining. An exceptional collection, from bachelor to one bedroom plus den designs, epitomizes the elegance and charm of Yorkville living. As one of the most anticipated projects Camrost-Felcorp is rebuilding the gateway to Yorkville with the conversion of the Four Season’s hotel building to Yorkville Plaza Condominiums. New Residences of Yorkville Plaza Condos will emerge as an iconic address by offering an exclusive collection of condominium suites that will become a pinnacle for this famed stomping ground. Yorkville Plaza Condos will offer a selection of pied-a-terre, one and two-bedroom suites priced from the mid 300,000’s as the complete revamp of each floor launches the International Collection of suite designs including the Manhattan, New York, Paris, Milan and London. The distinguished brutalist style architecture of the Four Season’s building will be anchored by a contemporary two-storey glass podium featuring an impressive retail envelope that will revitalize a large commercial footprint along Yorkville Ave. and Avenue Rd. Vertical glass accents will rise from the podium to highlight Yorkville Plaza Condos and animate this internationally recognized corner. In a nod to the many international taste-makers and socialites that have played, stayed, lunched and launched at this signature location, Yorkville Plaza Condos will usher in a new era for Yorkville by offering the ultimate pied-a-terre address. Providing access to this cosmopolitan lifestyle, Camrost-Felcorp will offer a selection of pied-a-terre, one and two-bedroom suites priced from the mid 300,000’s as the complete revamp of each floor launches the International Collection of suite designs including the Manhattan, New York, Paris, Milan and London. Yorkville Plaza Condos interior design options are inspired by two distinct aesthetics. Reflecting the luxury of the Four Seasons, classic style suites will feature a nostalgic colour palette with intricate textures, while clean lines and lustrous finishes define the contemporary international design option. All suites cleverly feature highly tailored kitchens with sleek cabinetry and integrated appliances to offer all the latest urban conveniences for sophisticated living. NOTE: Specifications are subject to change without notice. Vendor may substitute materials for those shown in the Plans and Specifications, provided such materials in the sole opinion of the Vendor’s consultant are of at least comparable quality. Model suites, displays, marketing materials and Schedule “A”s may include finishes that are upgrades and are not included in the purchase price. These upgrades may be offered at extra cost at time of colour selection or may not be made available. Feature details may vary, subject to conditions in the existing building. Where brand names are specified, the Vendor, in its sole discretion, may substitute with similar product of at least equal quality from another manufacturer. Colour, texture, appearance, etc. of features and finishes installed in the Unit may vary from Vendor’s samples as a result of normal manufacturing and installation processes. Appliance locations shown on Schedule “A”s may vary. Only those items designated with an asterisk (*) may be selected by Purchaser. All dimensions stated herein are approximate only. Presentation Centre display furnishings and decorations are not included.